A food tour of Athens not only designed for you to discover the wide variety of Greek culinary treasures but also for you to learn how to cook them yourself! Taking place in a not-so-touristic district of Athens’ city center, Exarchia. A buzzing, alternative neighbourhood located between the Athenian Trilogy and the Archaeological Museum. Start your day with breakfast in a charming little dairy shop in Omonia Square where you will try the deliciously famous Greek yoghurt, traditionally served with homemade honey and nuts, as well as loukoumades, the Greek ancestor of the doughnut. Next, a quick “pick me up” stop to try luxurious Greek coffee made the traditional way of being brewed on hot sand! Now that you have experienced breakfast like a Greek, its time to shop like a Greek. 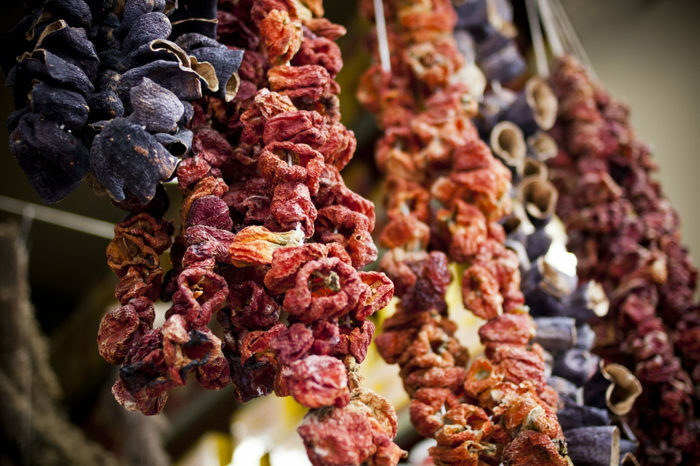 That means taking a stroll through the vibrant, organized chaos of ‘Varvakios’ market, the perfect place to choose your ingredients needed later for your Greek cooking lesson. Browse through a wide and colourful selection of fresh vegetables, fruits, cheese, meats, and fish. A handy tip is to ask your trust-worthy guide’s advice when picking out your products, as they will help you to pick out the best quality ingredients at the best prices! Overall, this is one of the most unique food tours Athens has to offer. 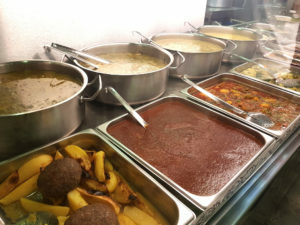 Located in this urban, alternative neighbourhood, you will not only have the opportunity to taste traditional Greek food but you will also have the chance to learn how to cook it yourself! 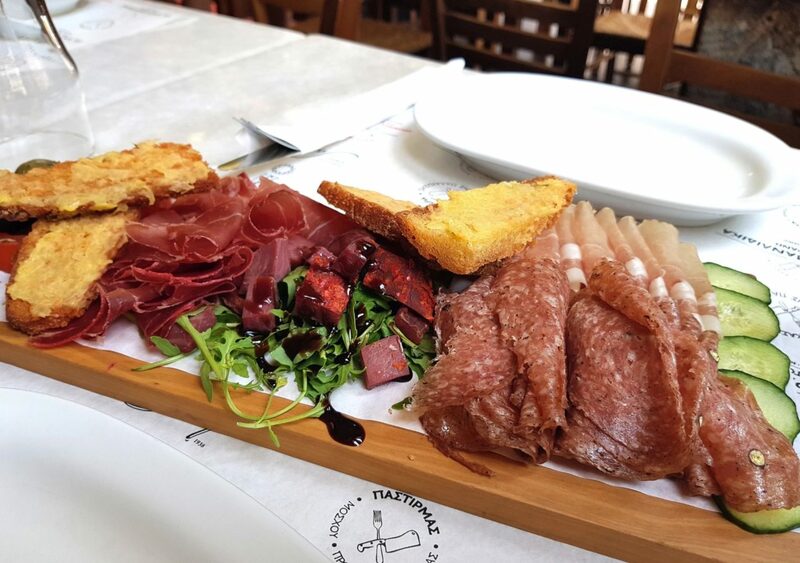 The hidden gem that is Exarcheia is sure to leave you with an unforgettable experience in both your heart and on your tongue! 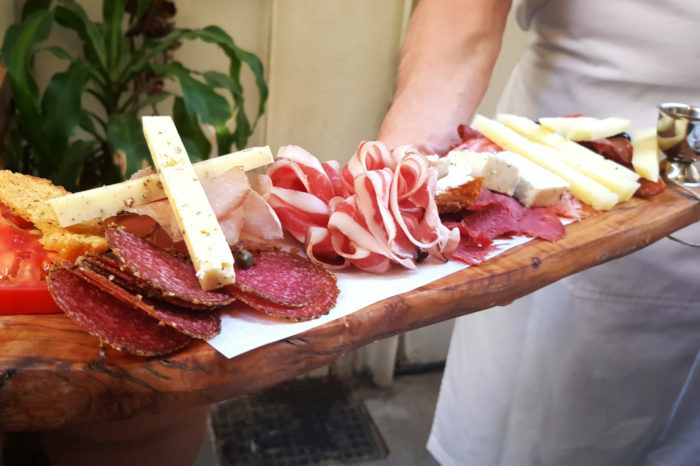 A unique food tasting tour of greek products and food, designed to give you a taste of Athens aswell as exploring the captivating historical neighbourhoods of Athens! Explore the greatness of Greek cuisine and get to know the exciting elements of Greek culture in this grand tour that combines delicious food-tasting and a guided tour that spans across the city centre of Athens! 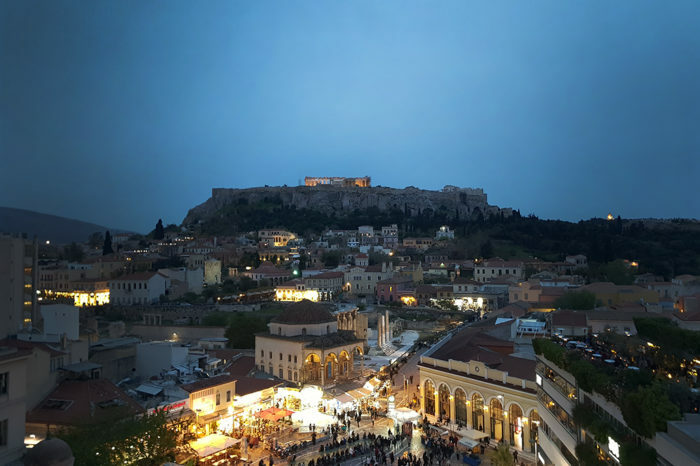 Athenian Tasting Tour at Twilight! Greece has a very distinctive and historical Jewish element to it, so in this guide, we present you with the opportunity to explore some of the most important Jewish landmarks in Athens, accompanied by hearty, traditional Greek cuisine. Enjoy unique tasting adventures, majestic walks around the historical centre of Athens and embrace the Athenian lifestyle like a local!